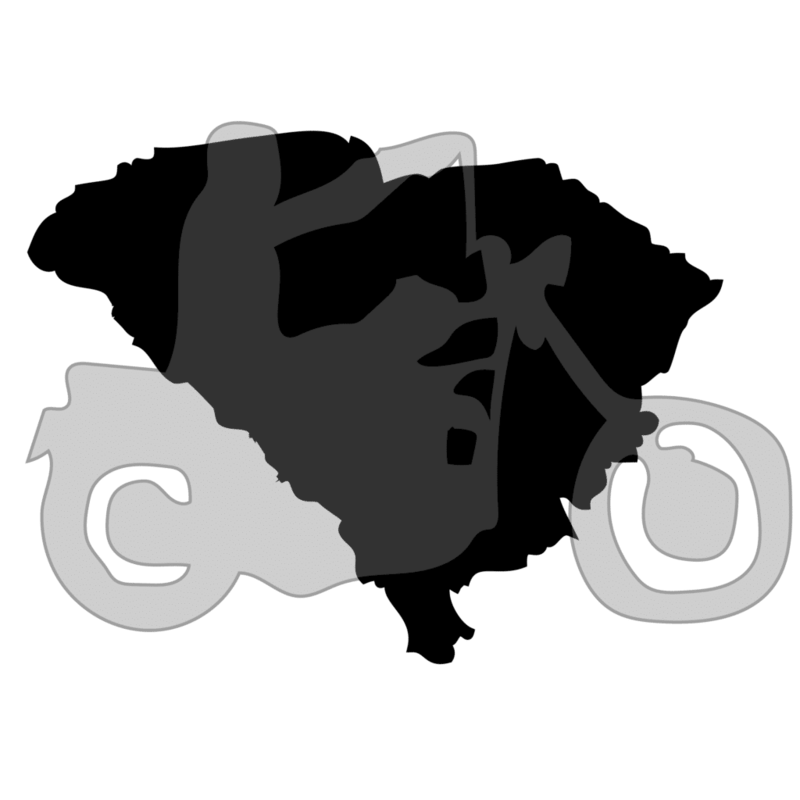 This page will cover the street legal requirements and registration and title process in South Carolina and provide some tips on how to register if you bought the motorcycle without a title. Does South Carolina have an equipment/safety inspection? Does South Carolina require VIN Inspections for motorcycles bought out of state? Does South Carolina require a title for old motorcycles? Yes, all motorcycles receive titles. Bill of Sale for motorcycles with titles issued before 1989. Photos of the motorcycle from all sides. Submit to the South Carolina DMV headquarters by mail. If your application is approved, you can use it to title the bike. Passenger footrests when carrying passenger.